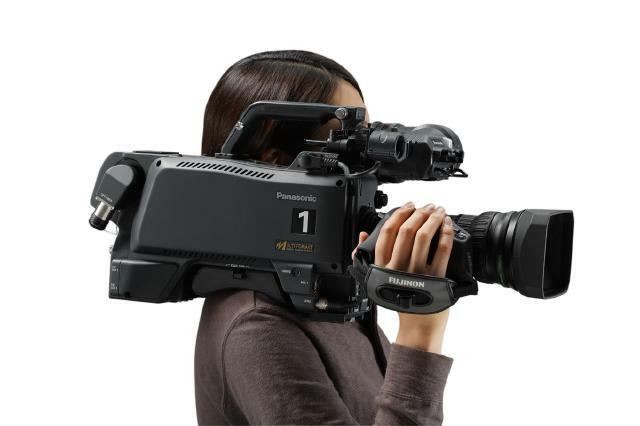 The Panasonic AK-HC3500A 2/3-type HD Studio Camera is a professional, multi-format camera that captures 1080i video using three 2/3-type 2.2-megapixel CCDs. By combining a 16-bit A/D converter with 38-bit digital signal processing, the camera's low smear level and reduced moiré contribute to exceptional imagery even in lowlight environments. A variety of image controls go further to improve image quality depending on the shooting situation, with such high-performance functions as dynamic range stretch, cine gamma curve, skin tone detail correction, and enhanced DTL signal processing. In keeping with its "multi-format" designation, the AK-HC3500A shoots 1080/59.94i, 1080/50i, 1080/29.97psF (over 59.94i), 1080/23.98psF (over 59.94i) and 1080/25psF (over 50i) HD formats. 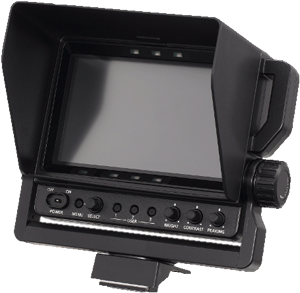 AK-HC3500A has VBS out as standard for prompter output. 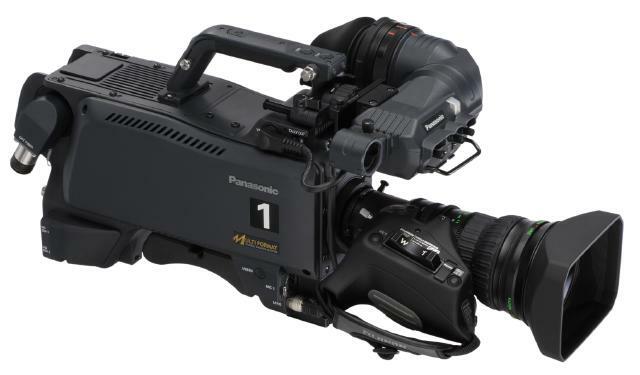 The AK-HC3500A utilizes Panasonic CCD sensor technology and the improved on-chip lens performance offers a high sensitivity of F10 (1080/59.94i) or F11 (1080/50i) at 2,000lx, a low smear level and an excellent signal to noise ratio of 60 dB. Panasonic's single-channel transfer system and spatial-offset processing technologies improve signal modulation depth and reduce moiré. Combine this with the 16-bit A/D conversion; a newly-developed 38-bit Digital Signal Processing (DSP) and Panasonic's original real-time gamma correction to enable high quality images with Dynamic Range Stretch (DRS) and other high-performance functions makes the Panasonic AK-HC3500A a world class leader in studio acquisition. Designed for easy operation and expandability The AK-HC3500A incorporates Panasonic's extensive broadcast camera design know-how to provide even easier operation. Convenient features include a backlight on the rear operation panel for improved operation in dark settings. In response to customer requests, we have made numerous improvements over prior models. These include optimal weight balance, boosted efficiency when used with a build-up unit, and a low centre of gravity for more comfortable handling. Thanks to this advanced design, the AK-HC3500A helps to reduce user fatigue while assuring exceptional efficiency both in the studio and at outdoor venues. 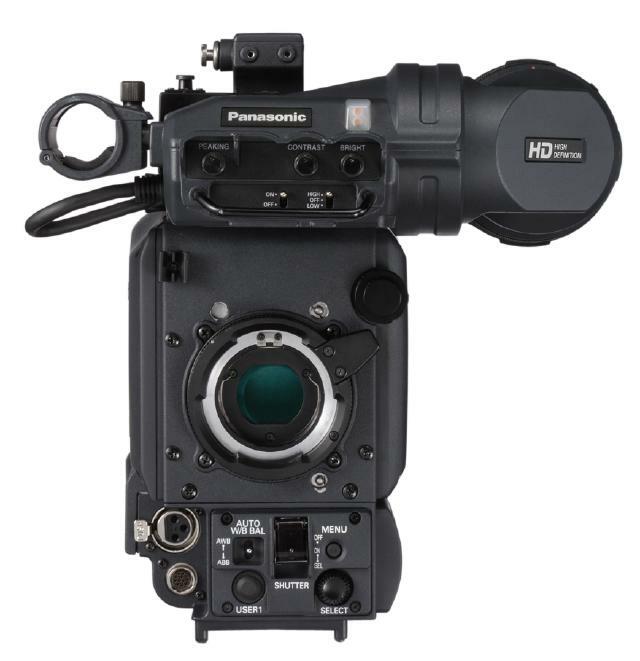 The Panasonic AK-HCU355A Camera Control Unit supports high definition 1080/59.94i, 1080/50i, 480/59.94i, 576/50i, 1080/29.97psF (over 59.94i), 1080/23.98psF (over 59.94i), 1080/23.98psF (over 47.96i), 1080/25psF (over 50i), 1080/23.98psF and 1080/25psF output, and 1080/50i/59.94i, 576/50.00i, 480/59.9 RET IN formats. 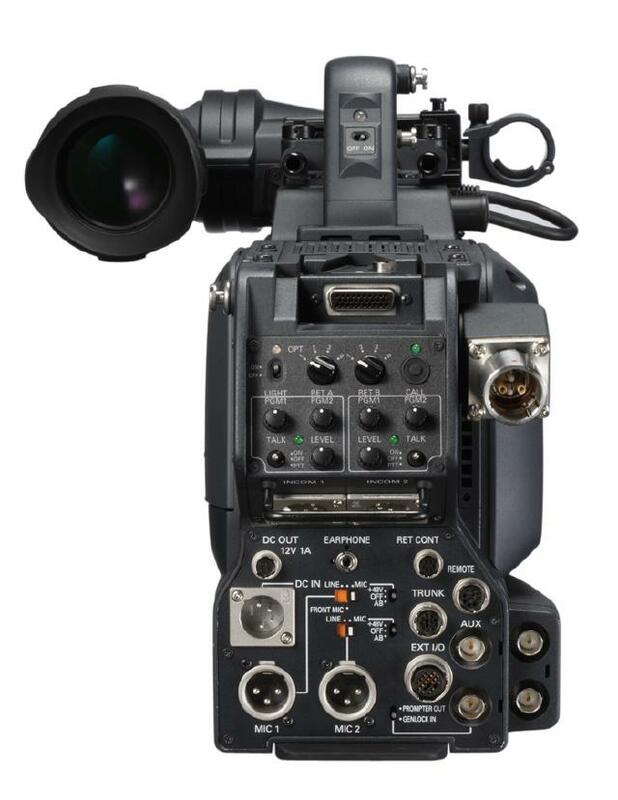 It‘s designed to work with the AK-HC3500A production/studio camera for studio and EFP (electronic field production) applications. The Camera Control Unit manages critical camera functions, with low power consumption of only 40W - reducing the heat dissipation. This compact, half-rack width (200 x 125 x 400 mm) and light weight (9Kg), control unit can be easily carried in flypacks and OB vans, thus offering efficient all-round versatility. 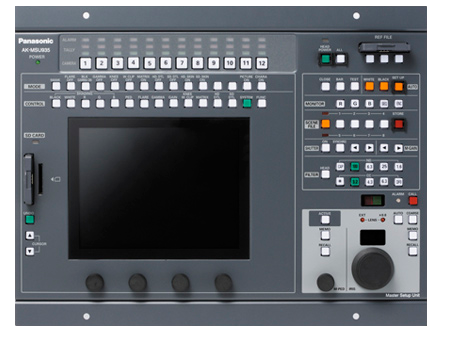 In addition, the AK-HCU355A offers a host of connectivity options including 4 HD/SD-SDI lines, 2 Analogue composite lines, waveform monitor output, and return video, prompter inputs.